The compressed air receiver is a vital part of every compressed air station. It acts as a buffer between the compressor and compressed air user, ensuring a constant operating pressure and an efficient operation of the compressed air station. Painted or galvanized, for long corrosion protection, horizontal or vertical, from 50l up to 10,000l, our compressed air receivers are available for every application. 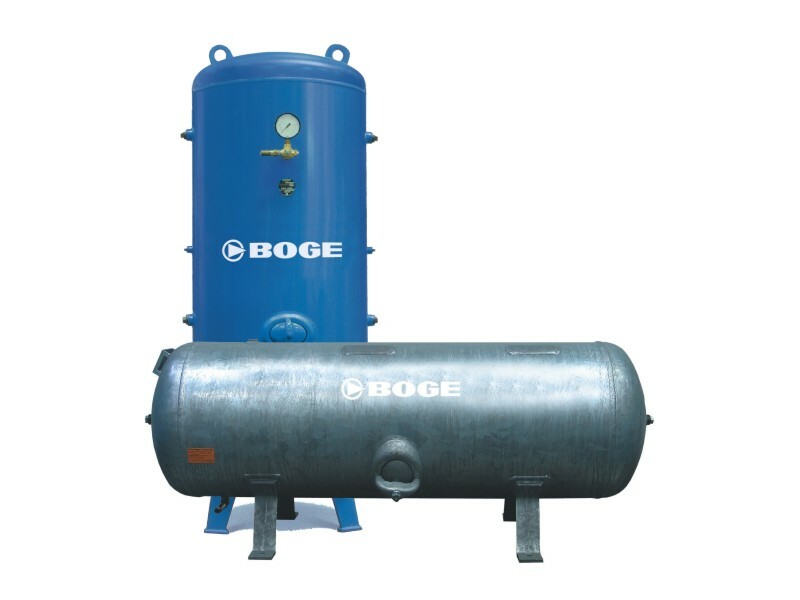 BOGE compressed air receivers meet strict regulations concerning design and manufacturing, enabling the maximum possible inspection cycles.